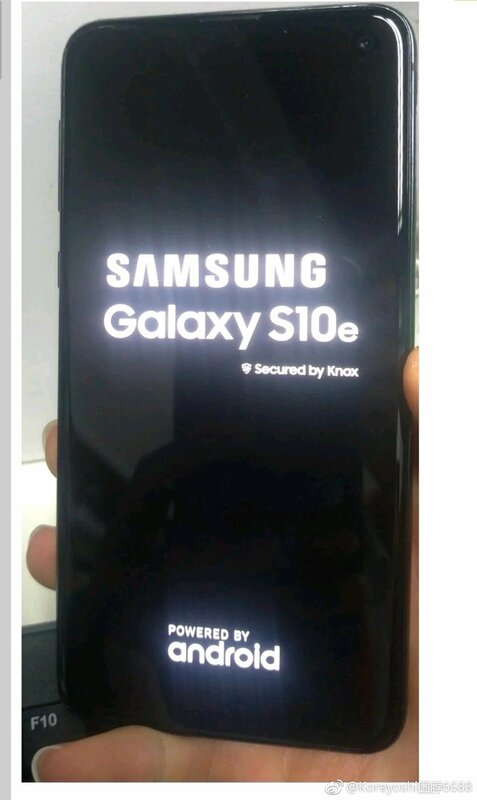 Ahead of the official launch of Samsung Galaxy S10 series later this month, some live images of Samsung Galaxy S10e have surfaced on the Chinese social network Weibo. These live images show the device during the bootup process along with normal powered on state. The punch hole at the top right of the display is visible which is probably 5mm in diameter. We can see minor bezels at the bottom while there is negligible bezel on all the other three sides. 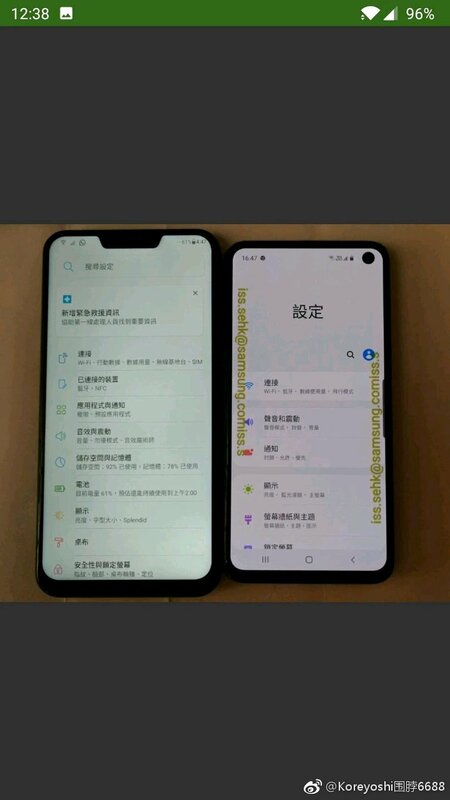 One of the images compares it the existing notch smartphone having a bigger size than Galaxy S10e. We had a good idea what the Galaxy S10 and S10 Plus look like a week ago, thanks to some leaked renders. Now some Samsung Galaxy S10E leaked renders have popped up. The new photos do tally up with the previously leaked case renders and real-life photos. 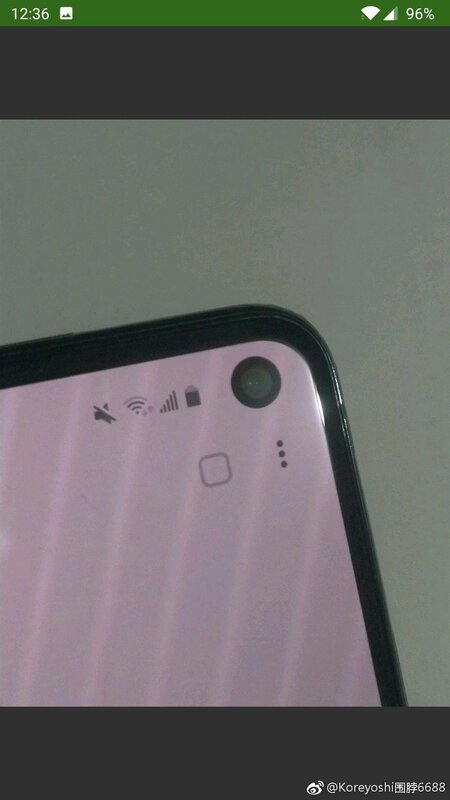 The device also called the Galaxy S10 Lite, does not have a rear-placed fingerprint scanner, or an in-display scanner like the other two models. Instead, it is equipped with a side-mounted sensor in the power button. On the opposite side, the S10E sports a Bixby button and the volume rocker key. The phone will house a 3,100 mAh battery. 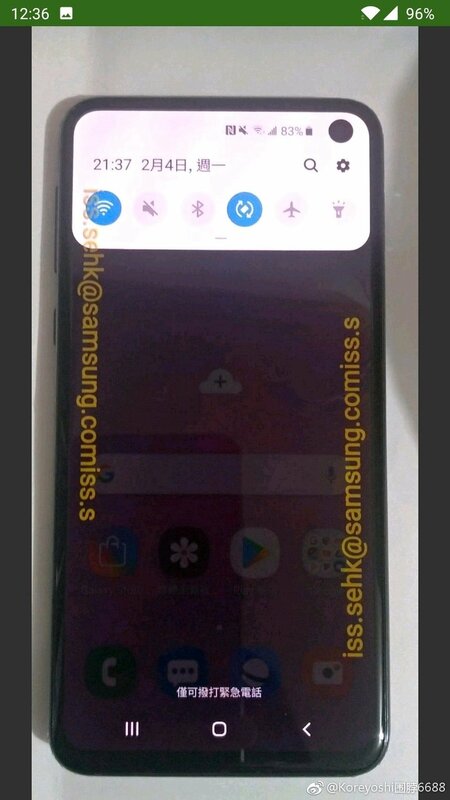 The Galaxy S10E leaked renders leaked by WinFuture, show that the device has a regular display with flat edges, side bezels and rounded corners, unlike the S10 and S10 Plus which have a curved edge-to-edge panel. The screen size of 5.8-inches. A recent Exynos 9820 benchmark showed that the processor is almost on par with the Apple A12 Bionic. The phone has 6GB of RAM and 128GB of storage. 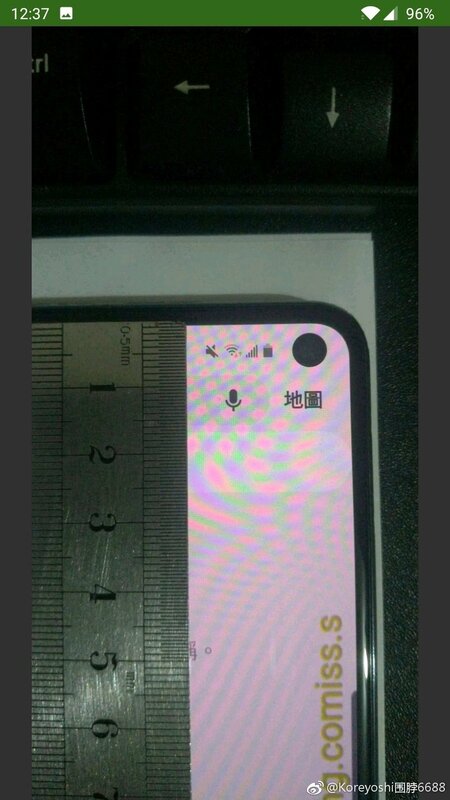 You can see the in-display selfie camera in the Galaxy S10E leaked renders, and the dual rear cameras on the back panel, instead of triple cameras. The phone sports a USB Type-C port and a 3.5mm headphone jack. The device will be available in Black, Green, Yellow and Blue colours. The Samsung Galaxy S10E launch date is scheduled for February 20th, alongside the Galaxy S10 and the Galaxy S10 Plus.